A twist on the popular Chinese Sweet Red Bean Soup dessert made with the addition of black glutinous rice. Delicious warm or cold with coconut cream. Bring coconut cream to a gentle boil. Add salt. Turn off stove. Remove and let it cool. 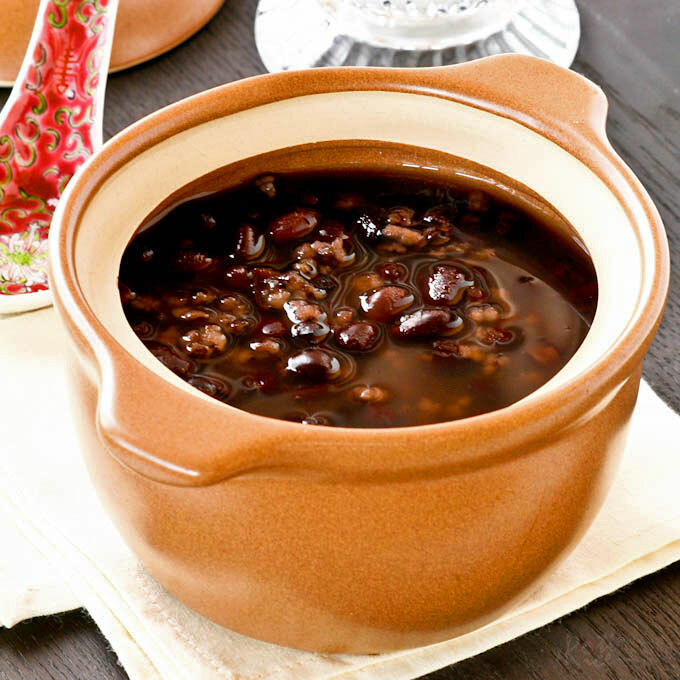 Put red beans, black glutinous rice, tangerine peel, and water in a medium size pot. Bring to boil. Add sugar. Reduce heat and simmer for about 2 hours or until beans are very soft. Stir every now and then to prevent beans from sticking to the base of pot. Add more water if necessary. Serve warm with coconut cream.